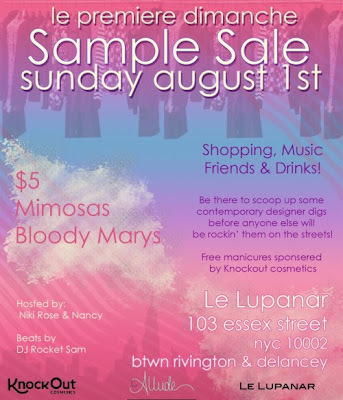 Hit up the Le Premiere Dimanche Sample Sale on August 1 for a special sample sale of contemporary designer goods such as Rag & Bone, Allude Clothing and other brands. 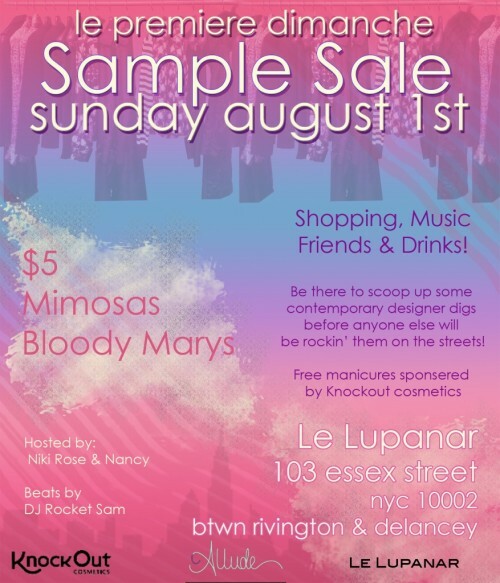 There will be $5 Mimosas and Bloody Marys plus a full bar. Free manicures will be sponsored by Knockout Cosmetics. Beats by DJ Sammy Rocket.